Winter in Englewood, NJ can be both long and chilly. That’s why having a furnace that’s performing at top effectiveness and efficiency is so important. Having a gas furnace contractor you can count on for your home not only ensures you and your family will enjoy better comfort all winter long, but it will also help you stay safe and enjoy energy savings – and that means a lower utility bill. If you want to rest assured that your gas furnace is running both safely and reliably this winter and for many to come, then you should count on GRC Mechanical to provide expert gas furnace services, which include maintenance, repair and installation. At GRC Mechanical, we proudly provide our customers with some of the best gas furnace products and services available. Our technicians are factory certified, and our company is licensed and insured. We proudly offer top-of-the-line gas furnace systems that help keep our Englewood, NJ customers comfortable; all while helping them save on their utility bills. Our gas furnace installations use quality Carrier® equipment, including the Infinity® Series and the Performance® Series. And, when you need quality repairs or maintenance services, we’re ready to help with those too. A full service contractor, we’re prepared to meet all your gas furnace needs. "We were very pleased with the installation of our two Carrier furnaces. The installers were professional, nice to work with and did a beautiful job explaining everything. The work area was immaculate. We would definitely recommend GRC. " Choose GRC Mechanical for all the gas furnace needs of your Englewood, NJ home. At GRC Mechanical, we are pleased to offer you more than 65 years of experience in the service field. We are pleased to have many long-time and loyal clients in the Englewood, NJ area, and we think that fact speaks to the uncompromising quality of our work. We are proudly NATE-certified, so you can trust that we’re offering you the best services available, performed by technicians with the know-how to keep your furnace running perfectly. 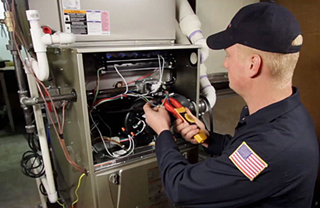 Count on us for your gas furnace maintenance, repair and installation needs. 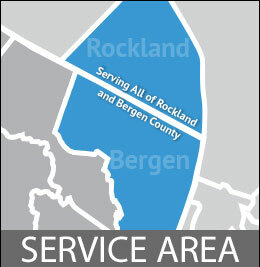 Count on GRC Mechanical for gas furnace repair in your Englewood, NJ home. Nobody wants to think about having to repair the gas furnace in their Englewood, NJ home, but if it happens to you, you should know that you can count on GRC Mechanical to put you, the customer, first and to make the repairs you need. Our technicians are trained in every aspect of gas furnace repair, so they are able to help you get your up and running safely and efficiently, so you and your family can be at their most comfortable. When you contact us with your gas furnace repair needs, we’ll provide you with prompt service done to your complete satisfaction. We work hard to offer our customers gas furnace repair that’s both comprehensive and professional, and the best available in the area. Choose GRC Mechanical for gas furnace maintenance in your Englewood, NJ home. When you want to make sure your gas furnace is running both safely and reliably, you should know you can count on the experts at GRC Mechanical to provide you with the professional gas furnace maintenance you need. We take great pride in the excellence of the gas furnace maintenance offered to our Englewood, NJ customers, and our Breathe Easy plan helps. This maintenance plan provides for the gas furnace maintenance needs of your home entirely, and is one of the most comprehensive residential plans available. The Breathe Easy plan has been designed to locate potential problems or unhealthy situations and correct them, allowing you and your family to enjoy healthy, energy-efficient comfort from your gas furnace season after season. When you need a gas furnace installation for your Englewood, NJ home, count on GRC Mechanical to help. When you’re looking for some of the most trusted brands of gas furnaces available on the market today, then look no further than GRC Mechanical. We offer expert gas furnace installation performed by our factory-trained technicians. We are licensed, ensured and are a Carrier® Factory Authorized Dealer, and we offer some of the best Carrier gas furnace systems available; gas furnaces that can help you stay comfortable while helping you save on your utility bills as well. We’re pleased to offer top quality gas furnaces to our Englewood, NJ customers from the Carrier Infinity® and Performance® lines. These gas furnaces are built with comfort, energy savings and safety in mind. GRC offers a range of gas furnace services, so we can help you even after the sale. When you need gas furnace installation for your Englewood, NJ home, you can count on GRC Mechanical to help meet your needs. Simply call us at 1-800-651-8222, and we will be more than happy to assist you with your installation needs.